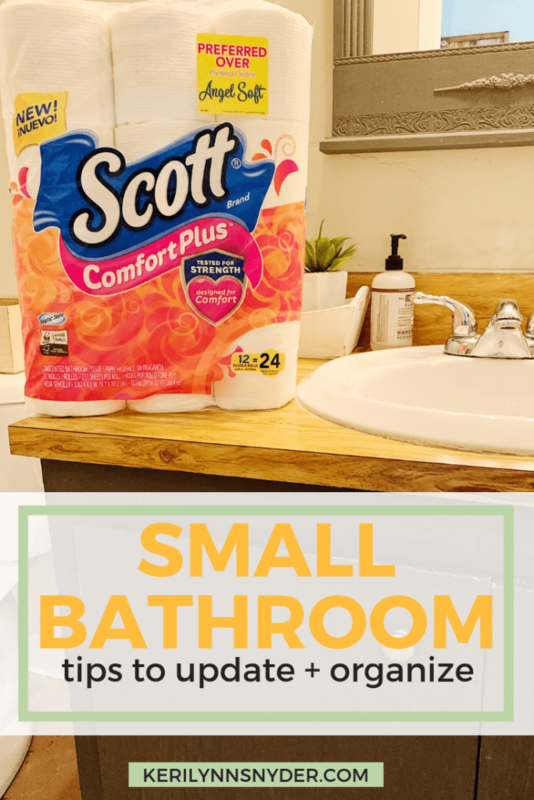 Looking to update and organize a small bathroom? Here are some helpful tips! 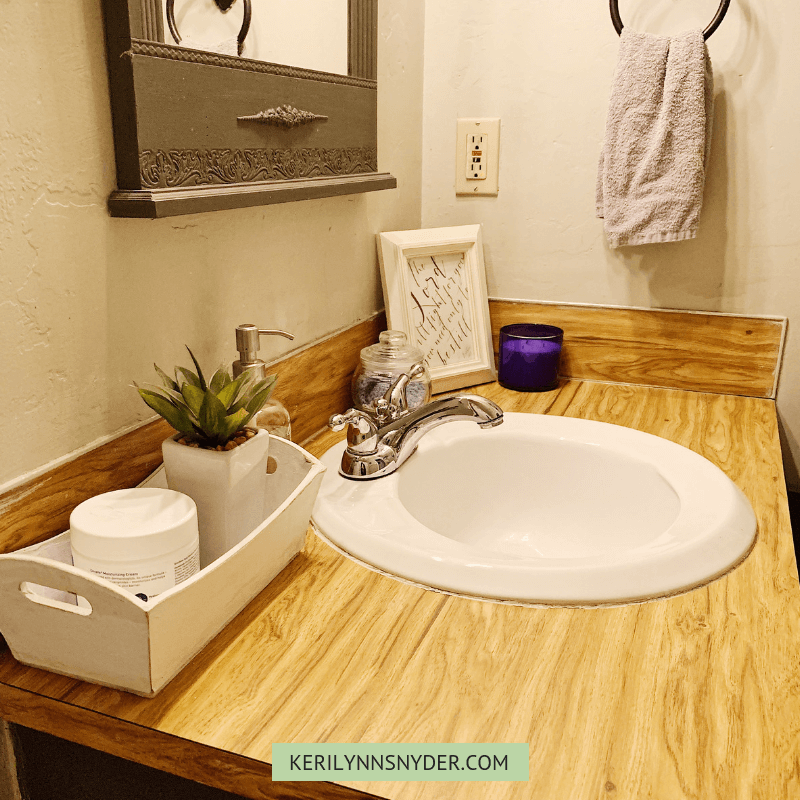 When you update and organize a small bathroom it is a process and takes some time. Bathroom remodels do not happen overnight usually unless you are on a home makeover show. As with all of our home projects, we do a little here and a little there. There is progress over time. One area that has been a work in progress has been the bathroom. We made some big changes on it this year to help update and organize it. Before we had this mirror, we had a medicine cabinet that had a mirror on it along with the 3 globe type lights. It was not awful but it was not the look I was looking for. We decided to take off the medicine cabinet and replaced it with a mirror I found second hand. I painted it and ta-da we have a new bathroom mirror! The lights above the mirror have been updated so far and this small change made such a difference! Before all that was there was the lights that were attached to the medicine cabinet. 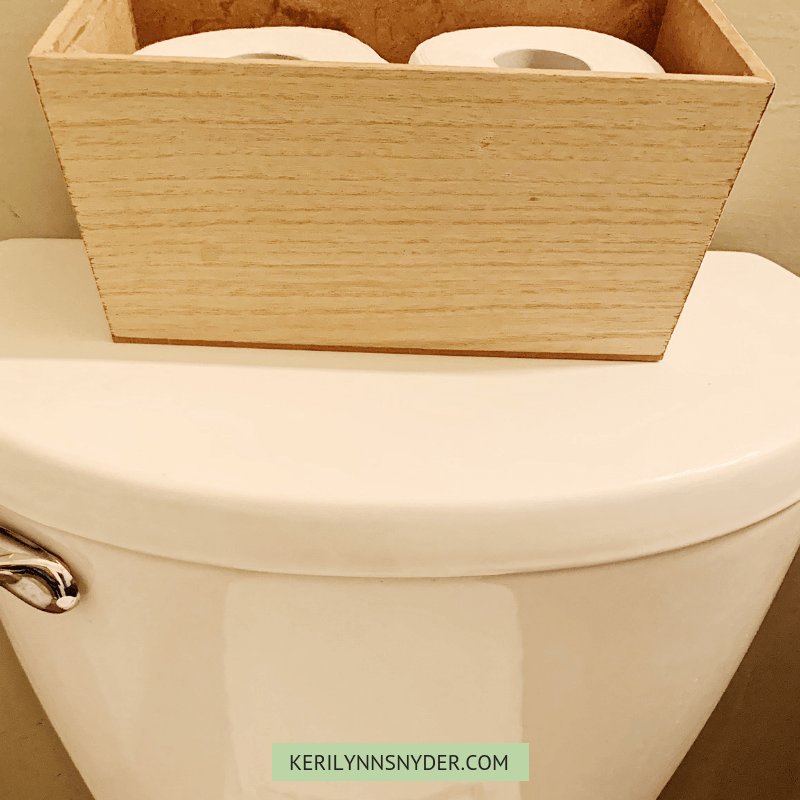 Now that you see how to update the bathroom, you can do a little organizing. We do not have a closet in the bathroom, so we have learned to become creative in the space we do have. There are a few places where we store our Scott® ComfortPlus™ Toilet Paper. Our family favorite is Scott Comfort Plus Toilet Paper because of it being 3X stronger, and clog free. If you used to purchase Scott Extra Soft, you have to try Scott ComfortPlus because it is the new Scott Extra Soft! 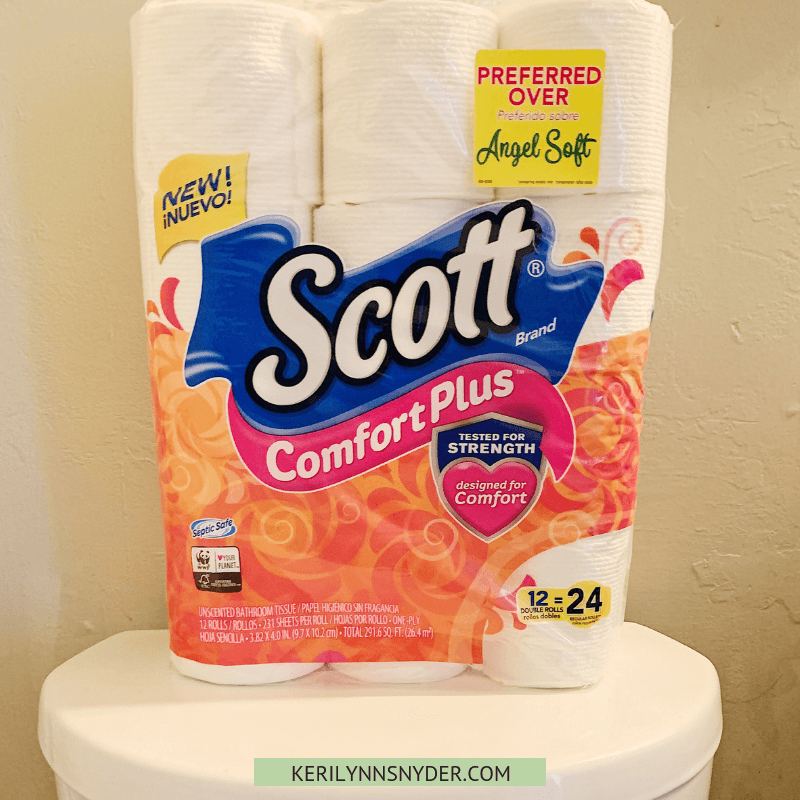 From 11/18-11/25 there is a circular offer for Scott Comfort Plus Toilet Paper 24 CT Big Roll at $7.95 at Family Dollar (the retail price is $10). This is a great deal that I am taking advantage of! 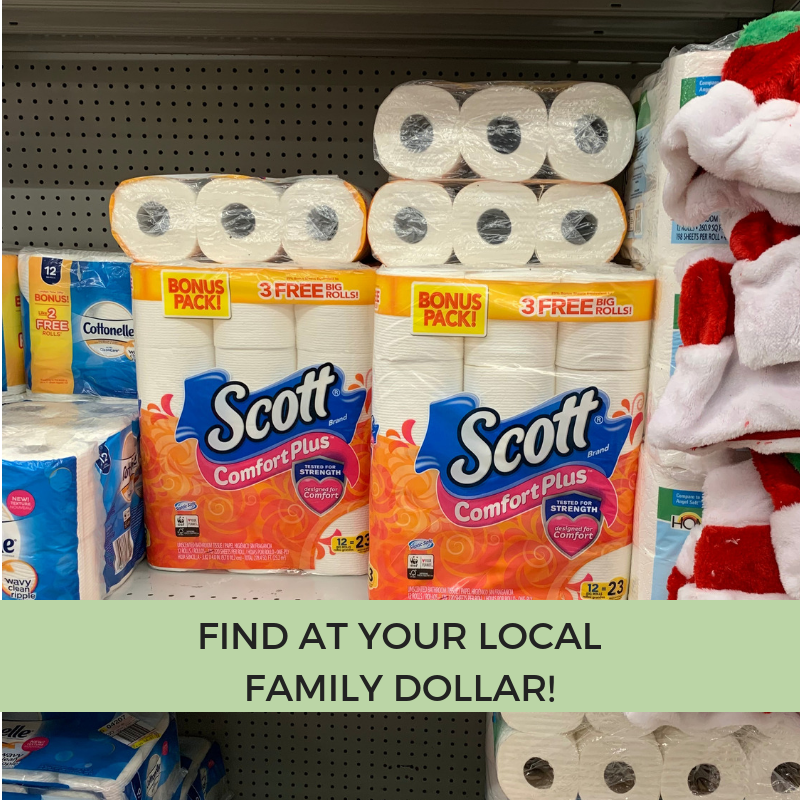 You can use the Family Dollar store finder to help you find your nearest Family Dollar to purchase Scott Comfort Plus Toilet Paper at. Since we have a small bathroom, we store the toilet paper stacked under the sink and then two rolls in a bin on the toilet. Under the bathroom sink, we use bins and a sleeve to help create space. There is a caddy that holds all of our daily use items so we can easily pull it out every day. While our towels that are folded stay in the hall closet, we do use hooks to hang towels in our bathroom. 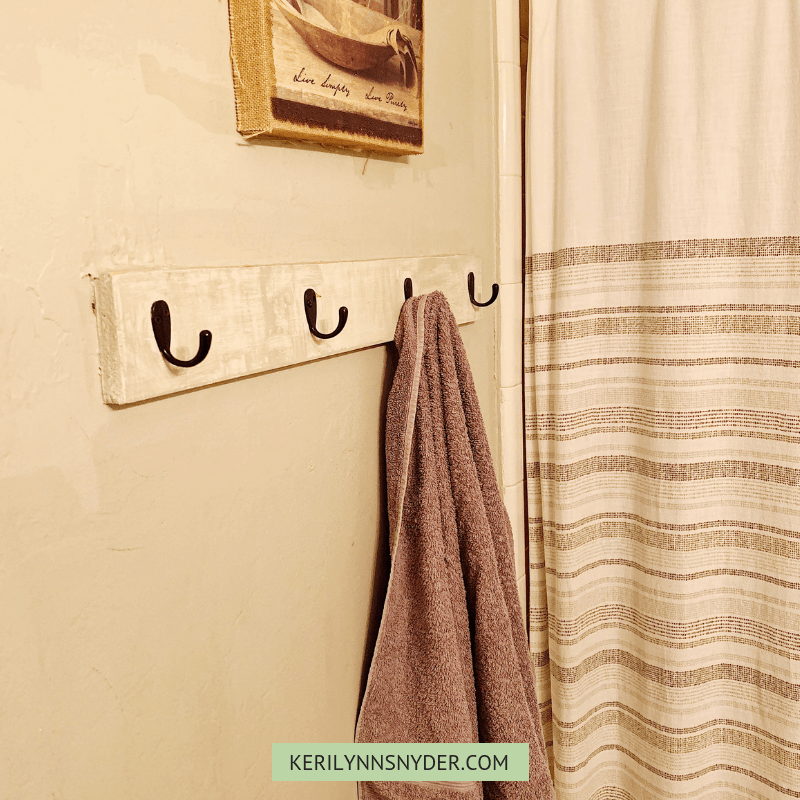 I love using hooks for towels because they can quickly dry. To create our hooks, all we did was attach hooks to a piece of wood. Super simple! 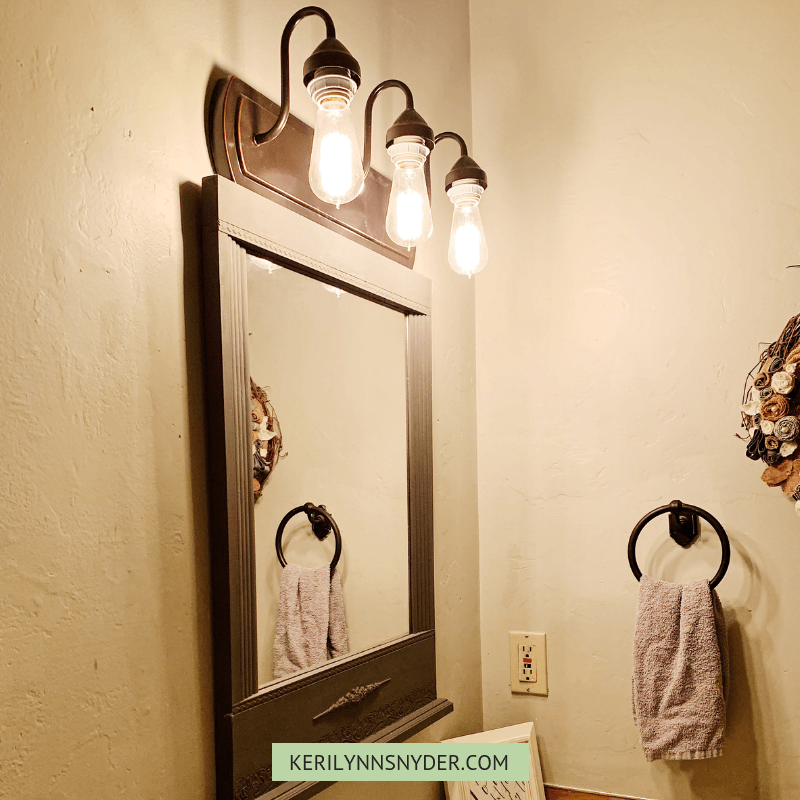 Updating and organizing a small bathroom does not have to be stressful or a marathon. You can take the project slow and do it in little chunks here and there. Ready to get organizing? 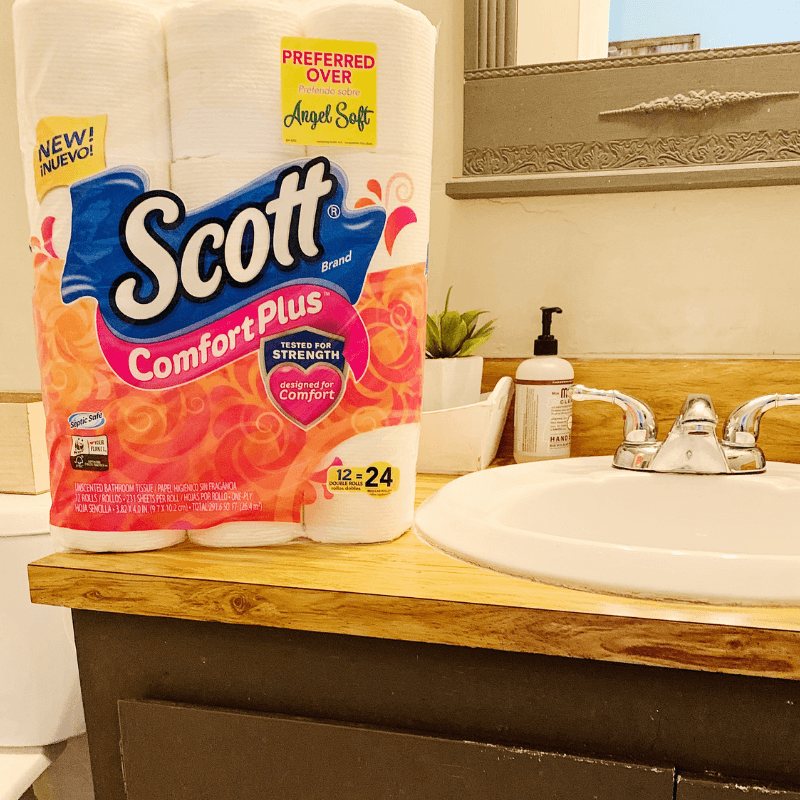 Head to Family Dollar to look for some bins for under the sink and make sure to take advantage of the circular offer for Scott Comfort Plus Toilet Paper 24CT Big Roll! Remember, if you need help finding Family Dollar, you can use their store finder!